France; Middle 15th Century. Latin Text; Angular Gothic Script. This is the smallest of the 50 leaves in the Ege portfolios; each side contains just thirteen lines of text. These leaves were not separated easily: their inner margins are ragged, and scraps of the other half of a split bifolium are often visible. 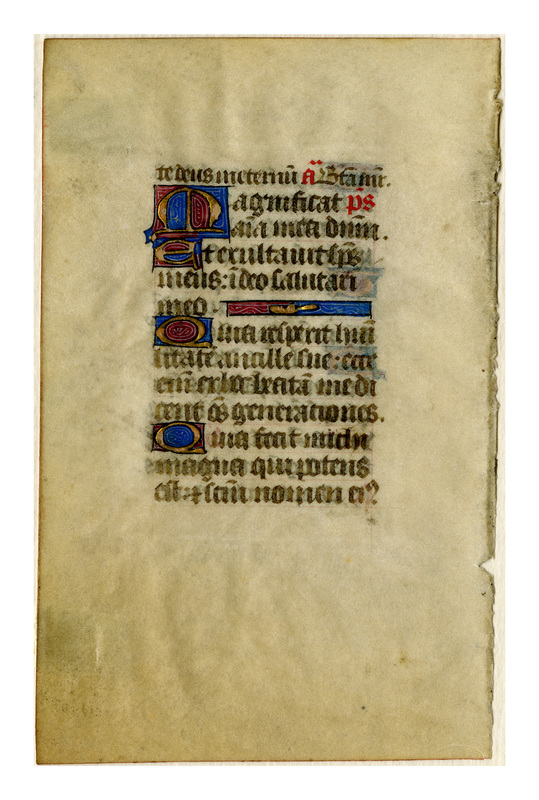 The rubrication and decoration/illumination remain vivid, sometimes overwhelming the fading text ink. Reconstruction Note: In Ege's original manuscript this leaf was followed by what is now Leaf 36 in the Lima Public Library portfolio. Recto Translation: O rarest virgin pure, Of all that meekest waste, Discharged of our sin, Make thou us meek, and chaste. Recto Transcription: Virgo singularis inter omnes mitis, nos culpis solutos, mites fac, et castos. 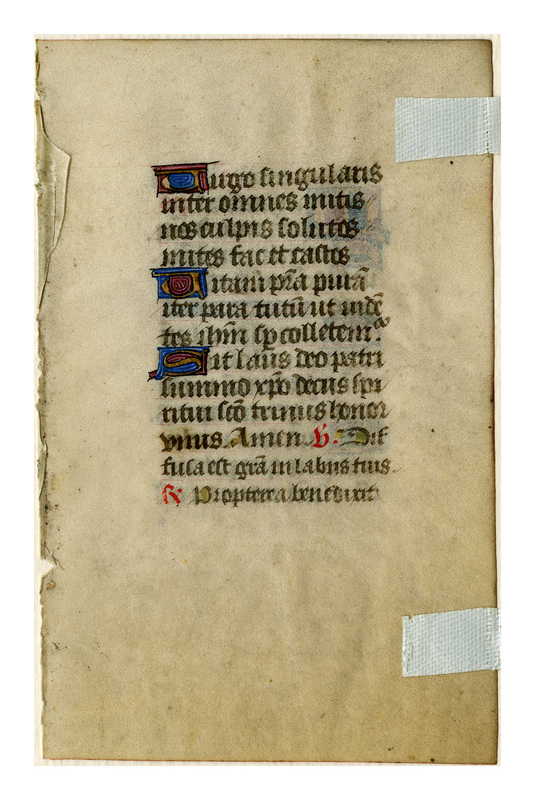 “E0036 Leaf from a Book of Hours (Horæ Beatæ Mariæ Virginis),” Digital Exhibits | Denison University Archives & Special Collections, accessed April 23, 2019, http://exhibits.denisonarchives.org/items/show/56.